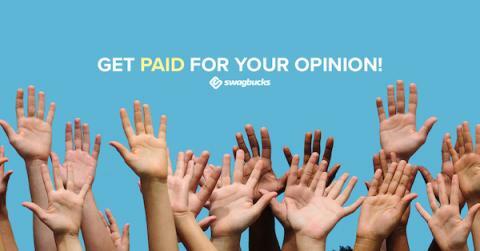 If you're looking for a way to earn a little extra money for Christmas this year - or just earning a little extra in general, then taking surveys on Swagbucks can be a great way to start! It's really simple: you sign up, confirm your email address, and then use the Gold Survey Dashboard to see what surveys are currently available. For each survey, you'll see approximately how long it takes to complete, and how many SB points you'll get when you complete it. You can rack up lots of SB points quickly, and then redeem those SB for free gift cards to places like Amazon, TK Maxx, Argos, John Lewis, M&S, PayPal and many more UK retailers! You can fill out a survey profile and then answer additional questions that will help Swagbucks deliver surveys that you're more likely to complete. You get 2 SB for every 10 questions you answer, and as there's quite a lot when you first sign up, they'll quickly make your points balance shoot up! For even more SB opportunities, you can click the Peanut Labs surveys tab and choose from any one of these survey options. You can also download the Swagbucks app for iOS and Android and take surveys right from your phone, no matter where you are, so you're sure to get at least one survey every day! Swagbucks actually works and I'm a member who can prove that, since October 1st until today (October 27th) I have made £200 in gift cards. I've so far got £130 in Amazon gift cards and £70 in Argos gift cards, but as October isn't over just yet, I'm hoping to reach another £20 before the end of the month, meaning a total of £220 for October. When you do the maths £220 divided by 31 (the days in October) that equals £7.08p a day - not something to live of, but something for doing minor things that I use to do for free everyday! What's more, if you sign up using my link during October, and earn at least 300 SB and complete one survey, come November, you'll receive a 400 SB bonus as I've spoken about in this post here! Earning the 300 SB and getting the 400 SB bonus is enough for a £5 Amazon voucher in itself, so what are you waiting for - why not sign up now!? I can understand you may be skeptical, just like I was when I first signed up, but just like me - you can do your research first before signing up! Simply go to Google, or another search engine, and search Swagbucks and you'll see thousands, if not millions of results! If you'd like to sign up to Swagbucks, please do consider using my referral link here, as I will get a little bit of commision!